You’ve lived in your home for quite some time and have the interior well memorized – right down to the amount of bricks in the fireplace. But do you know anything about your roof? You need to be able to identify the pitch of your roof. Common roof pitches include flat roofs, shed roofs, gable roofs, hip roofs, and A-frame roofs. 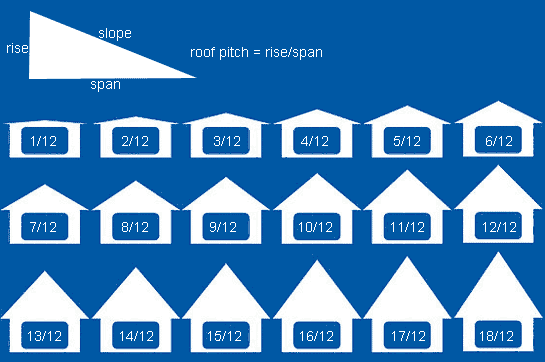 What is the slope of your roof? Every roof has its own unique slope. The slope of your roof dictates the kind of materials you can use with it. 3. Do You Need A Permit? Your particular community may require you to obtain a permit before you replace your roof. It’s important to do your research and find out about any regulations before you start on big projects. Rafters are sections of the roof where two different angles come together. They need to be sealed and laid out properly so you can avoid problems. Because troughs can form in these areas, you have to make sure that water can drain properly. A tight seal ensures water won’t get into your home.